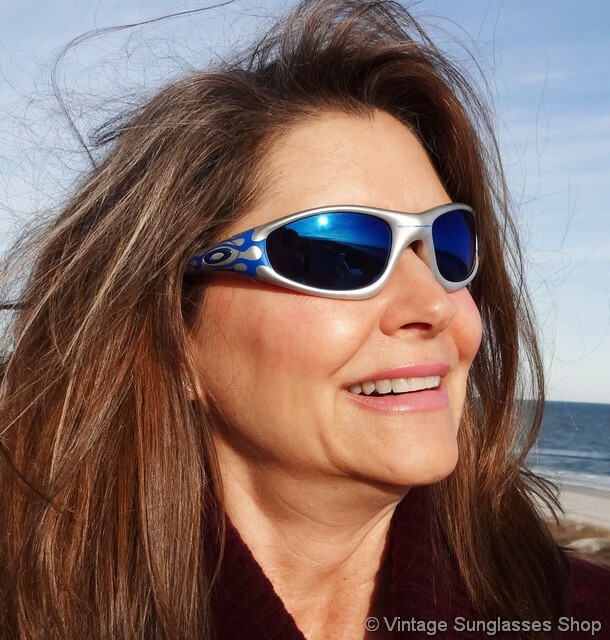 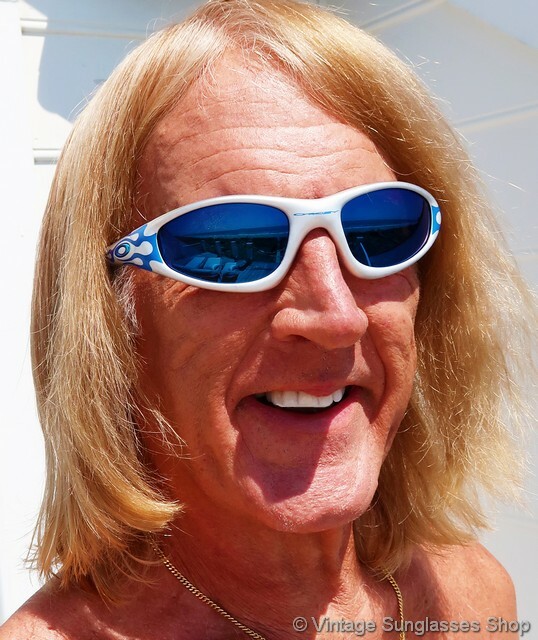 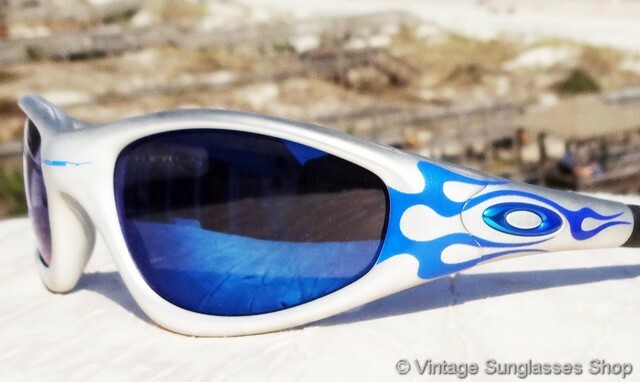 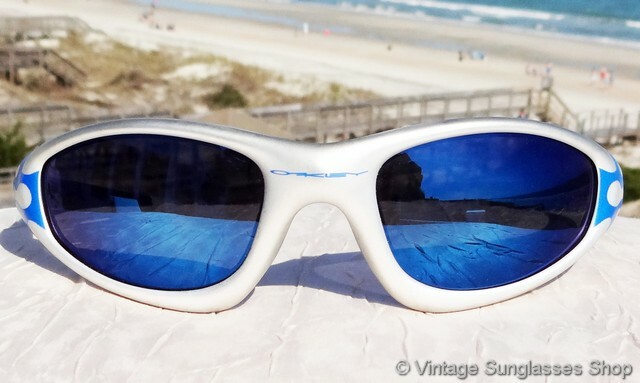 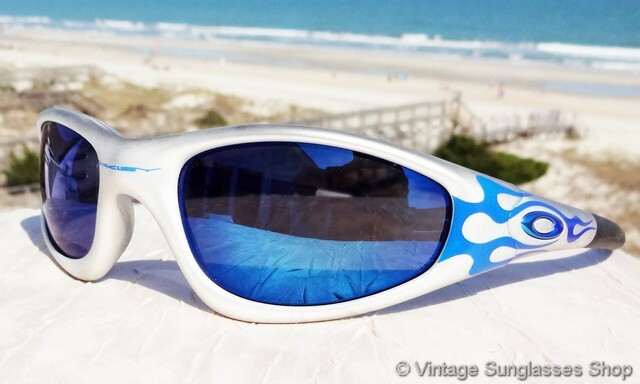 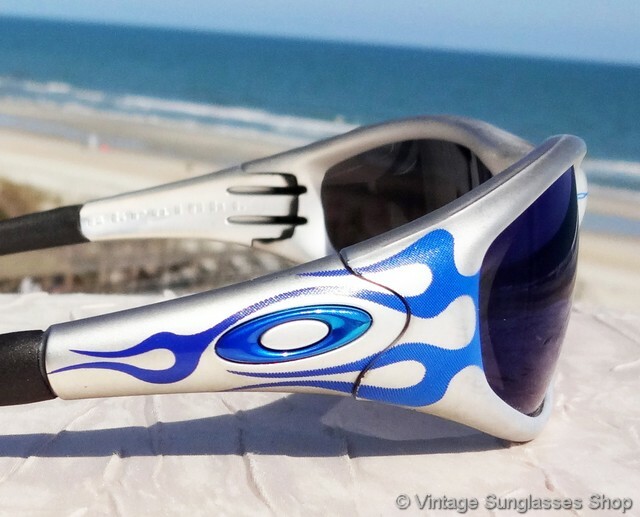 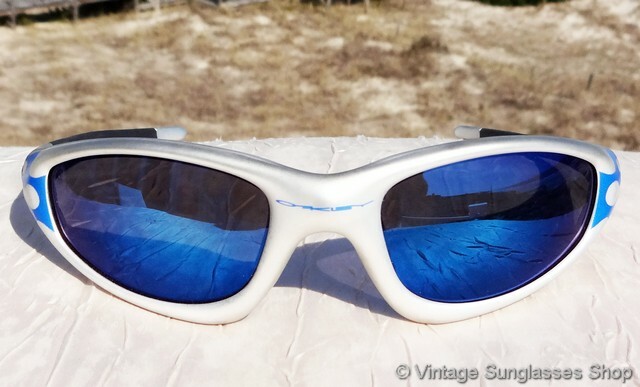 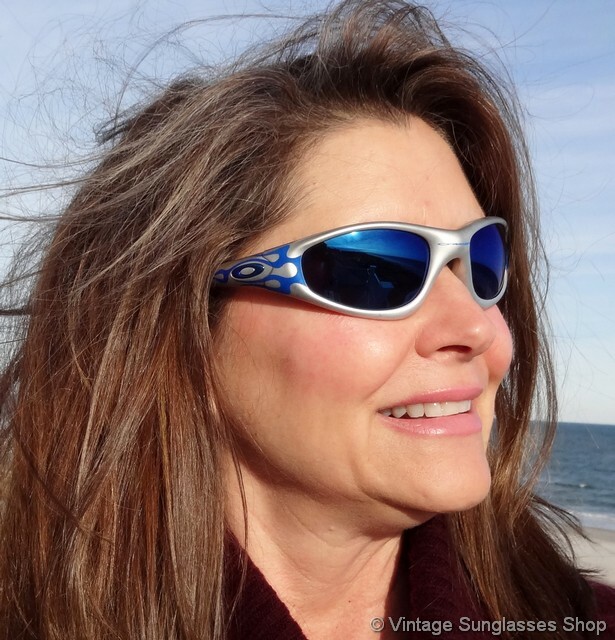 1 Vintage Oakley Straight Jacket Blue Flames Full Metal sunglasses feature a beautiful silver frame with blue flames on both temples and ear stems, a sleek high performance look that is a perfect complement for the highly reflective blue Oakley Ice Iridium lenses. 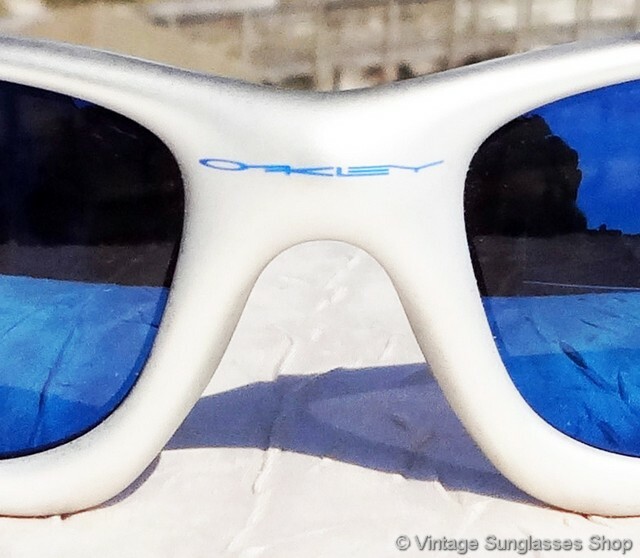 This limited edition style of the Oakley Straight Jacket has been highly sought after since its introduction, and the Ice Iridium lenses form the perfect color complement for this frame and flame color. 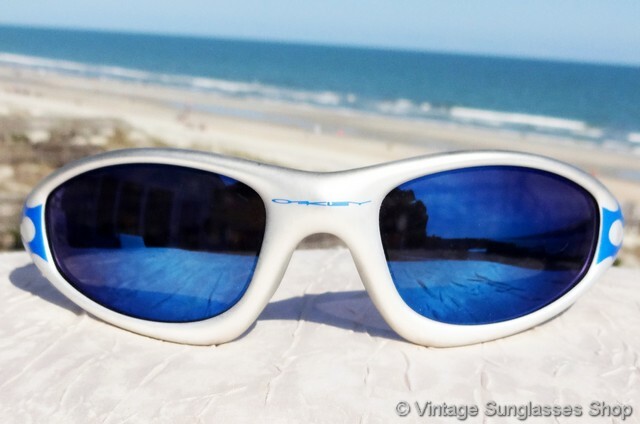 The unisex Oakley Straight Jacket frame measures approximately 5.5" temple to temple, and the Oakley Ice Iridium lenses measure approximately 2.25" x 1.375" at the widest points. 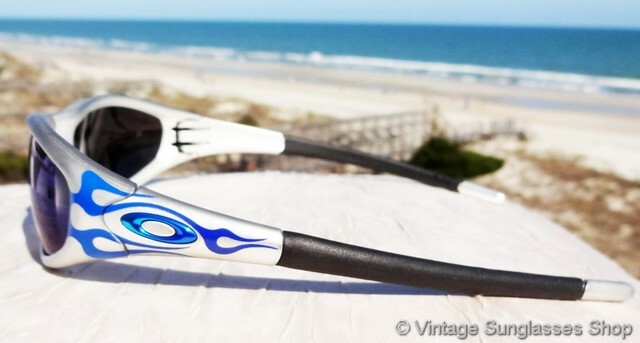 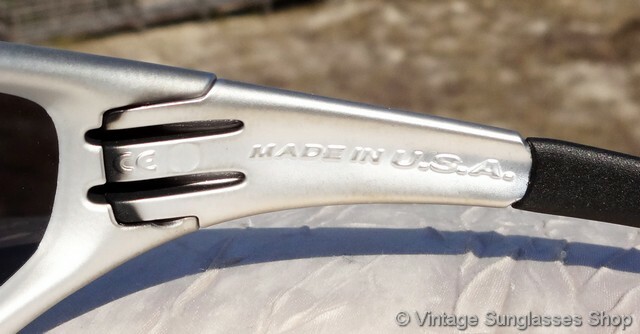 You'll find the Oakley logo embossed on the nose bridge and the Oakley O on the exterior of both ear stems, and the inside of one stem is impressed Made in USA while the inside of the other stem is impressed Straight. 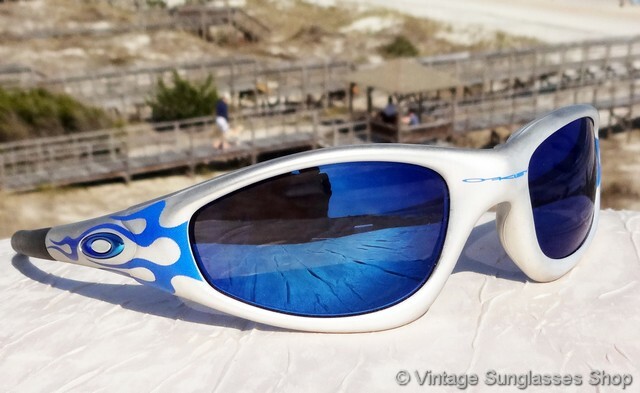 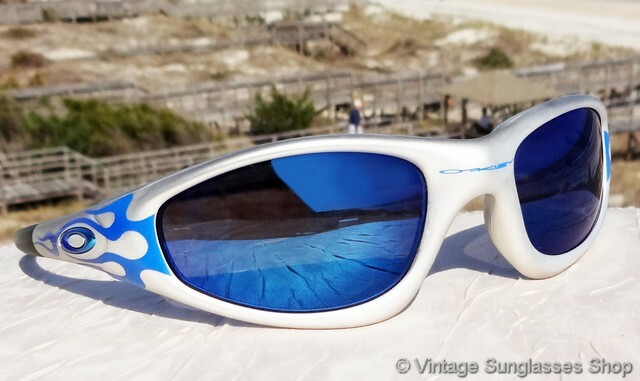 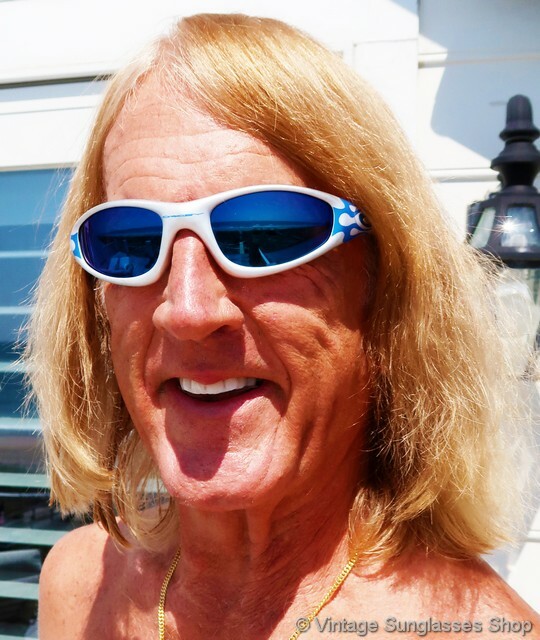 2 Step up another level beyond our already unequaled vintage condition standards with new old stock Oakley Straight Jacket Blue Flames sunglasses in mint, unworn condition.